Hinckley Company, which builds and services America’s finest yachts just completed its 90th anniversary, and announced the opening of a new sales office in Palm Beach, Florida, an area close to many of its customers in the region and a favorite winter destination for visiting customers as well. The additional sales office comes on the heels of Hinckley’s announcement last August that the company was building a new 40,000 square foot Category 5 storm-rated storage facility at their yard in nearby Stuart, Florida. Upon completion, Hinckley will be the largest full-service yacht yard with climate-controlled storage in Stuart, a major hub for yacht services work on the east coast of Florida with a protected harbor on the St. Lucie River. The new Palm Beach office is located at 112 North County Road. 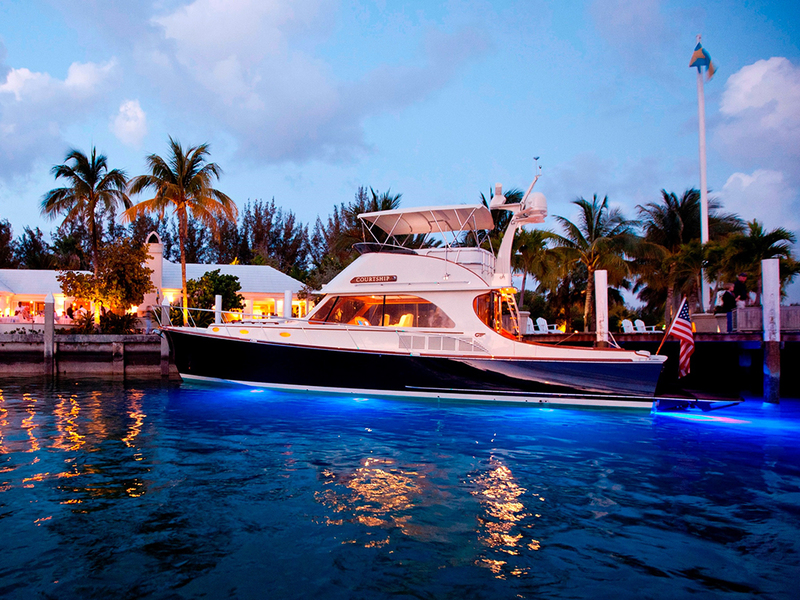 The company also has a sales office and yacht yard servicing the gulf coast in Naples, FL. "Our company is built on providing a pinnacle yachting experience.,” Mike Arieta, President of Hinckley Yachts said. “This new office paired with our unmatched yacht care facilities will allow us to serve our customers like no other brand in the industry. In addition to the new Florida office, the company recently opened a 20,000 square foot, heated, indoor storage facility in its Southwest Harbor Maine yard. The company’s new yacht services locations in Stamford, CT and Annapolis, MD are each over four acres, and have helped grow the company’s presence in those areas as well. “We can keep our customers up to date on the latest innovations at Hinckley, learn from their experiences with our products, and ensure excellence in service, refits, transportation and storage,” Arieta added. The Hinckley Company includes Hinckley Yachts, the new performance brand Hinckley Sport Boats launched in 2018, Morris Yachts acquired in 2016, Hunt Yachts acquired in 2013 and our yacht services business with 9 yacht care locations up and down the east coast. “This is a unique point of differentiation in the market because having yards paired with our beautiful yachts makes for an ownership experience that is unrivaled,” Arieta said.